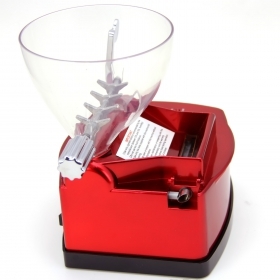 Comes with a removable tray for finishing rolled cigarettes. 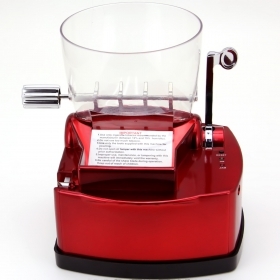 It perfectly injects tobaccos with just one-step operation. 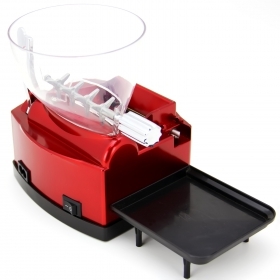 With the big transparent tobacco feeder, you can feed the tobaccos smoothly with fewer jams. Lighter than the metal injectors, it can be carried as a back up tool in your long travel. 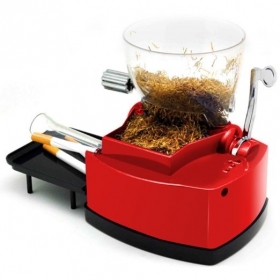 At the same time, you can enjoy the pleassure by making your cigarettes.